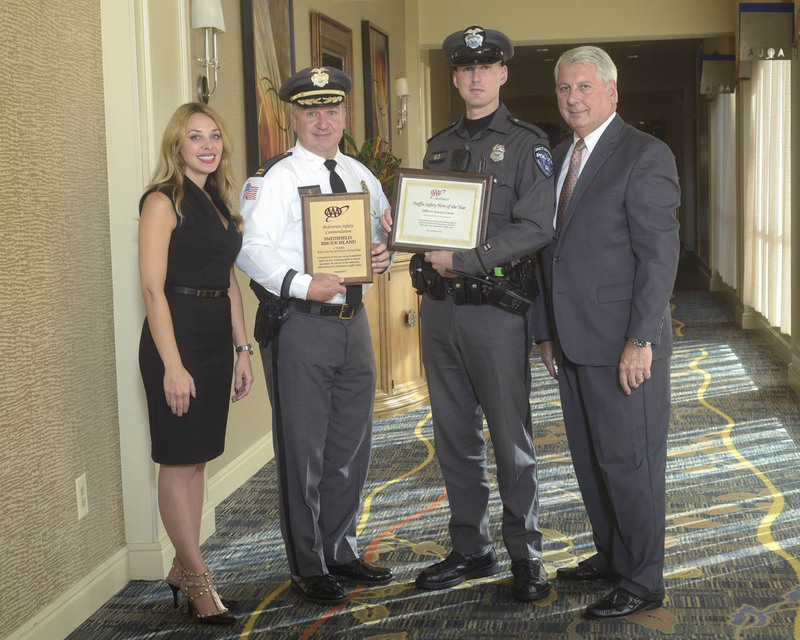 On November 2nd, 2017, Rhode Island Police Officers were recognized at the annual AAA Traffic Safety Award Luncheon, which was held at the Providence Marriott. Patrol Officer Cruse, pictured third from the left, received the Hero Award for his aggressive enforcement of seat belt violations. Also included in the photo are AAA Northeast Traffic Safety Programs Manager Diana Imondi (far left), Captain Kenneth A. Brown, Jr. (holding a Department Safety Award), and AAA Northeast Senior Manager of Traffic Safety Advocacy John Paul (far right).